Buy "The Great Surprise of the Small Transformation" now. In the United States, we now take our ability to pay with plastic for granted. In other parts of the world, however, the establishment of a "credit-card economy" has not been easy. In countries without a history of economic stability, how can banks decide who should be given a credit card? How do markets convince people to use cards, make their transactions visible to authorities, assume the potential risk of fraud, and pay to use their own money? Why should merchants agree to pay extra if customers use cards instead of cash? In Plastic Money, Akos Rona-Tas and Alya Guseva tell the story of how banks overcame these and other quandaries as they constructed markets for credit cards in eight postcommunist countries. We know how markets work once they are built, but this book develops a unique framework for understanding how markets are engineered from the ground up—by selecting key players, ensuring cooperation, and providing conditions for the valuation of a product. Drawing on extensive interviews and fieldwork, the authors chronicle how banks overcame these hurdles and generated a desire for their new product in the midst of a transition from communism to capitalism. The relatively peaceful and rapid collapse of Communism came as a great surprise to most, and the varied paths followed by the countries emerging from Communism has puzzled many. Róna-Tas argues that, under Communism, the central institution organizing society was universal state employment. Over time, universal state employment eroded and a weak private sector evolved, before Communism collapsed. This erosion is what the book calls the "Small Transformation." The Small Transformation was a process of fragmentation that slowly undid the concentration created in these societies by the process of socialist industrialization, the Great Transformation. The way the Small Transformation proceeded in different states is crucial in explaining differences in the way Communism collapsed and in the course the market economy is taking. The book draws on an unusually wide array of sources including archival materials, statistical surveys, newspapers, and ethnographic materials, to demonstrate the unfolding of the Small Transformation in Hungary. Róna-Tas argues that the fall of Hungarian Communism took a negotiated course because Hungary's Small Transformation was sufficiently advanced to induce elite defection well before 1989. 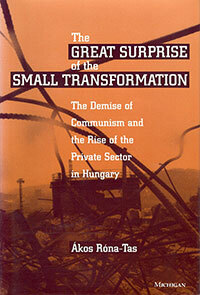 The book documents nomenklatura privatization and the social continuities and discontinuities of post-Communist Hungary. Its overall arguments are useful in understanding what has happened in other states. 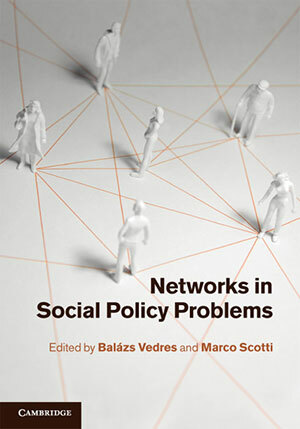 Networks in Social Policy Problems (eds. 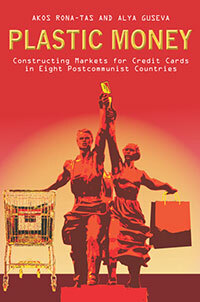 Balazs Vedres and Marco Scotti) was published in September 2012 by Cambridge University Press. I co-authored chapter entitled "Dissemination of Health Information within Social Networks." A 2008 paper written with Stefanie Hiß on credit rating and the subprime crisis.